In a move that has wide ranging implications for the pharmaceutical industry, the New York Attorney General sued Forest Laboratories last week, alleging anti-trust activities in connection with the sale of its Alzheimer drug, Namenda. 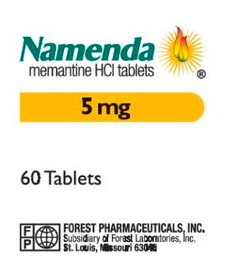 Namenda does not cure Alzheimer’s disease, but it slows its symptoms in patients with moderate to severe Alzheimer’s. Namenda has been one of Forest Labs’ most successful products, generating $1.5 billion in revenues in the last fiscal year alone. Namenda’s patent protection will end in July 2015. Worried about the potential loss in profits, Forest Labs has developed a strategy to hold on to Namenda profits by switching patients to a newer version of the drug, Namenda XR, which has patent protection until 2029. The only difference between Namenda XR and the original Namenda is that the newer version is an extended release formulation and is taken only once a day, compared to the original formula that requires taking 2 doses each day. And of course the profit margin for Namenda, once its patent protection ends next summer, will be far less than the profit margin for Namenda XR. Government regulations try to balance support for drug development with the need for competition. Under federal law, pharmaceutical companies that develop new drugs are entitled to patent protection for 20 years. This protection allows companies to far more than recoup their expenses and encourages pharmaceutical companies to invest in the necessary research and development to bring new drugs to market. However, the price protection is for a specified period of time. When the protection ends, the government wants generic versions to compete effectively with brand name drugs. This competition is built into “substitution laws”- laws that require pharmacists to fill prescriptions for brand name drugs with lower cost generic equivalents, unless the physician specifically requests no substitutions. Virtually every state has such a law. Therefore, once Namenda goes off patent, pharmacists across the country will automatically fill a patient’s prescription for Namenda with a lower cost generic, unless a physician specifically requests no substitute generic. However, in order for a pharmacist to make the switch to a generic drug, it must be deemed equivalent, defined as having the same active ingredient, dosage, route of administration, form and strength as the brand name drug. Forest Labs is trying to neutralize these “substitution laws” by switching patients to Namenda XR, for which there is no generic equivalent. Thus, the only way patients who have been switched to Namenda XR will be able to receive the generic form of Namenda is for their physicians to write a new prescription for the original Namenda. There is nothing inherently difficult about obtaining a new prescription, but either the doctor or the patient has to take the initiative. Physicians are busy. Patients are typically unaware of new generics unless there is a marketing campaign to promote them, and generic drug manufacturers do not market; they rely on the pharmacist to make a generic substitution as required by law. Therefore, drug companies have learned they can successfully slow the rate of generic adoption by creating slightly modified versions of their drugs. In an effort to accelerate the switch to Namenda XR, Forest Labs has taken the unprecedented move of announcing that it will stop production of the original Namenda in “the fall of 2014”, i.e., before the patent protection on Namenda ends, and before generic substitutions are available. Once original Namenda production ends, physicians will have no choice but to write a prescription for Namenda XR if their patients are to continue on Namenda at all. The practice of withdrawing or limiting production of a drug in order to force use of a higher priced substitute in known as “forced switching” or “product hopping”. Until now, pharmaceutical companies engaged in this practice have not completely eliminated the brand drug going off patent, thereby blunting efforts to challenge the practice. On September 15, 2014, the Attorney General in New York filed suit against Forest Labs and its parent company, Actavis, alleging that it was improperly maintaining a monopoly and inflating its profits. On September 23, 2014, Forest Laboratories entered into an agreement with the NY Attorney General, agreeing to manufacture the original Namenda for another 60 days. By the end of this 60 day period, there should be an initial ruling about the right of Forest Labs to manipulate availability of its drugs to protect its profits. The case may also prompt a review of extending patent protection for minor changes in formulation. Stay tuned.